Beauty and colour, something our friends in Italy know all about, comes to life in our Palermo collection. 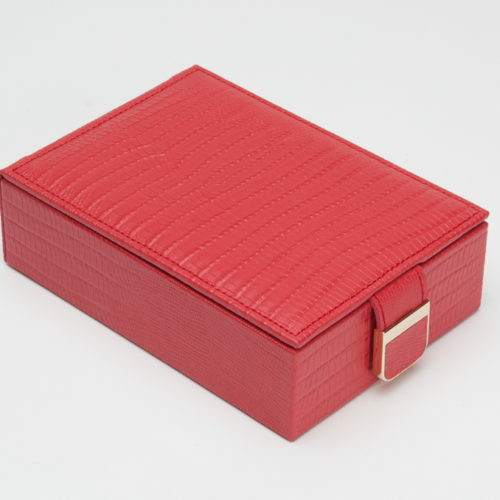 Soft Teju lizard and pewter leathers bring to life this classic collection that includes recessed locks and hinges lined with LusterLoc™ to protect your jewellery from tarnishing for more than 30 years. 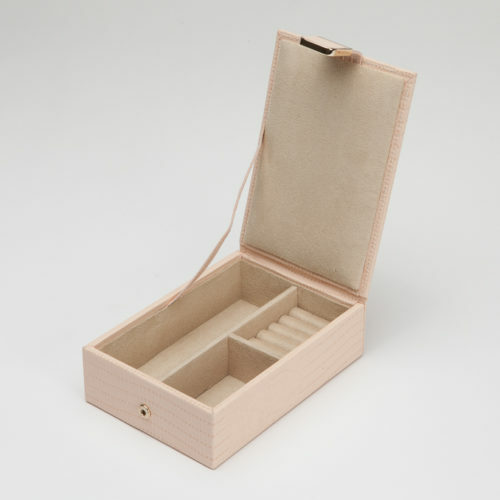 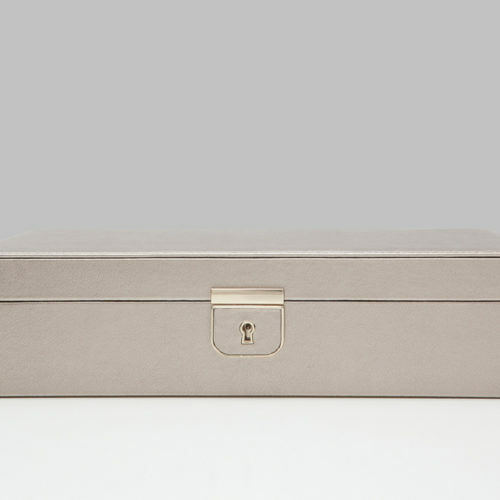 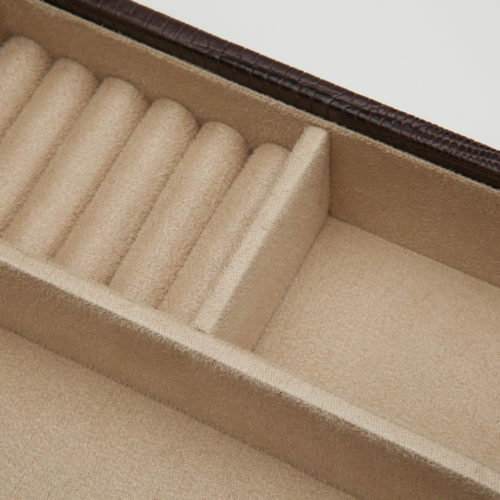 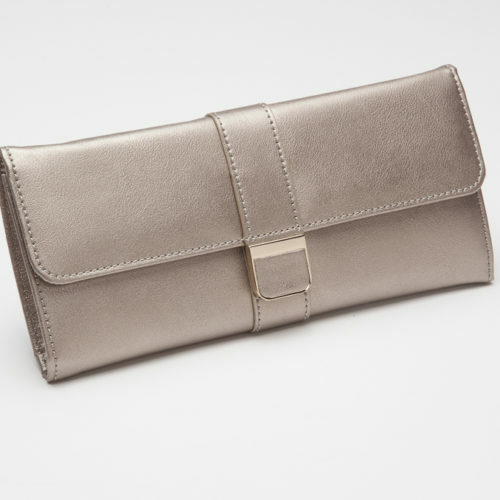 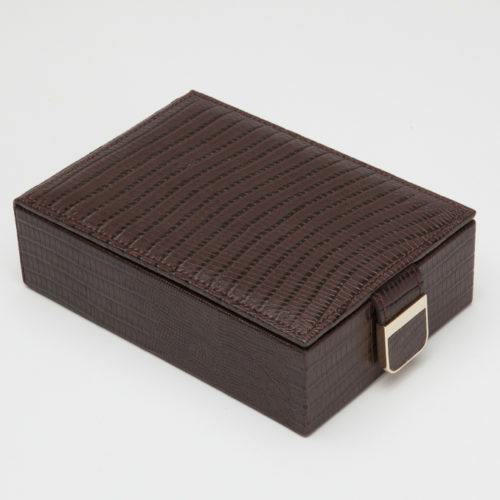 A delicately constructed leather jewellery case, the Palermo collection represents a city synonymous with sophistication. 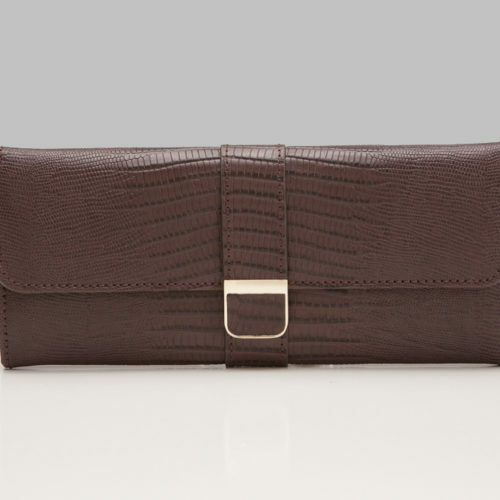 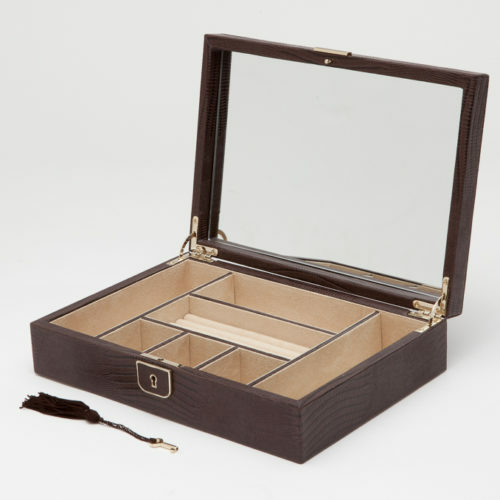 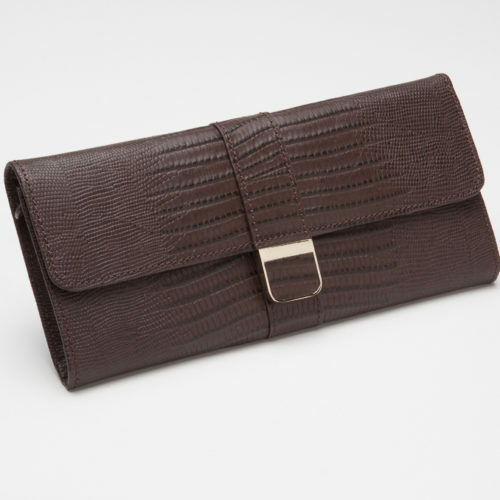 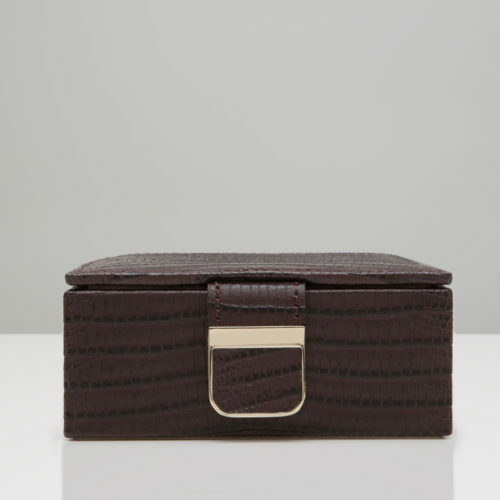 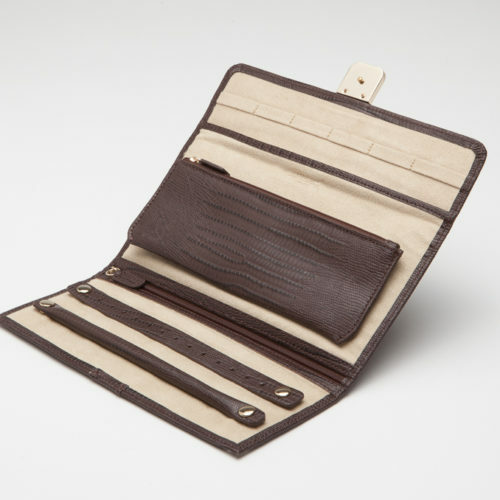 Includes 4 ring rolls, 6 storage compartments, glass mirror, Teju lizard embossed leather in brown, LusterLoc™ anti-tarnish lining and lock & key with gold finish. 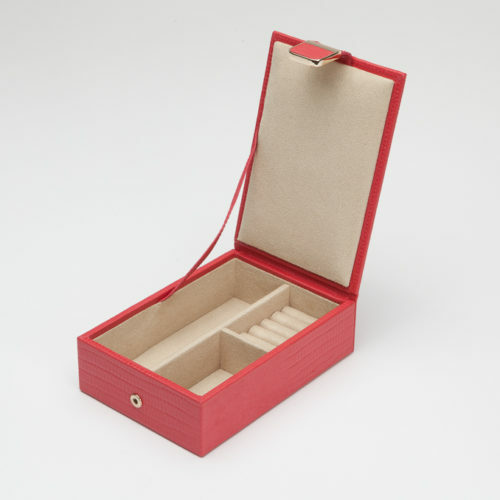 A delicately constructed leather jewellery case, the Palermo collection represents a city synonymous with sophistication. 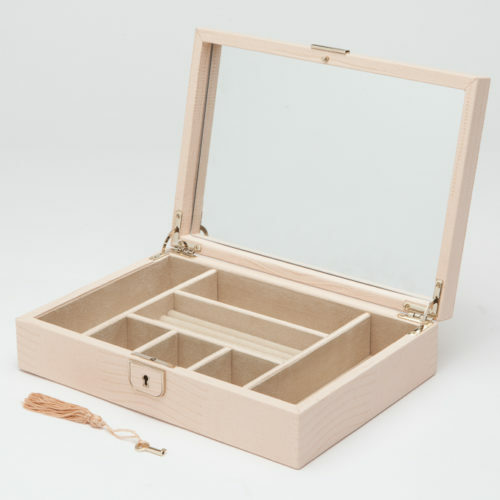 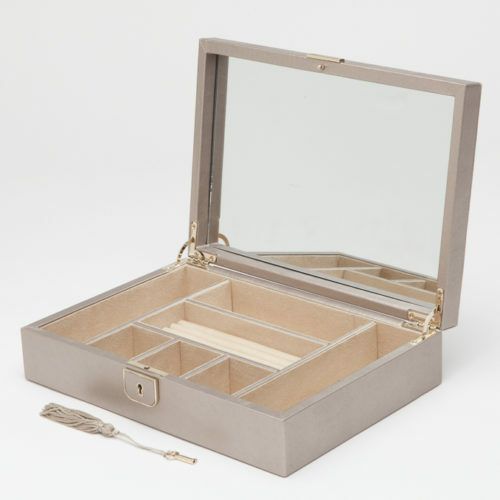 Includes 4 ring rolls, 6 storage compartments, glass mirror, smooth pebbled leather in Pewter, LusterLoc™ anti-tarnish lining and lock & key with gold finish. 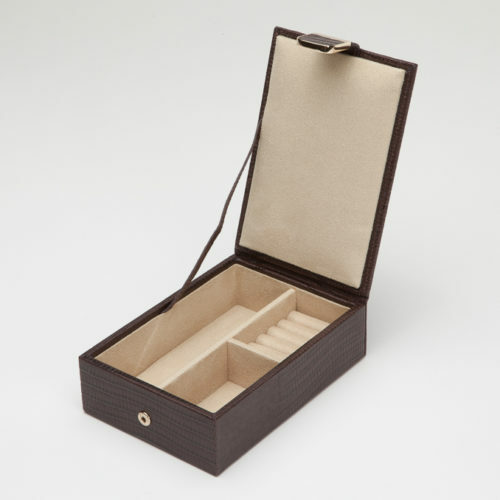 A delicately constructed leather jewellery case, the Palermo collection represents a city synonymous with sophistication. 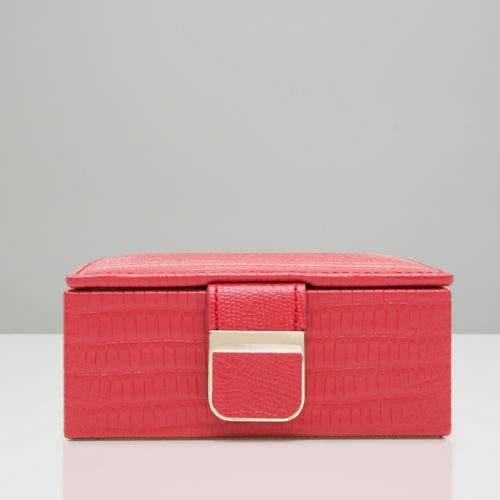 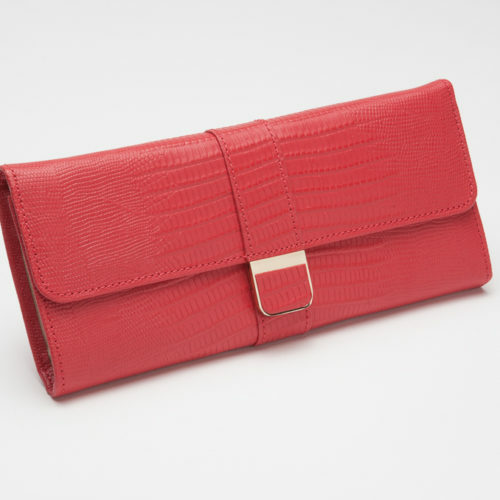 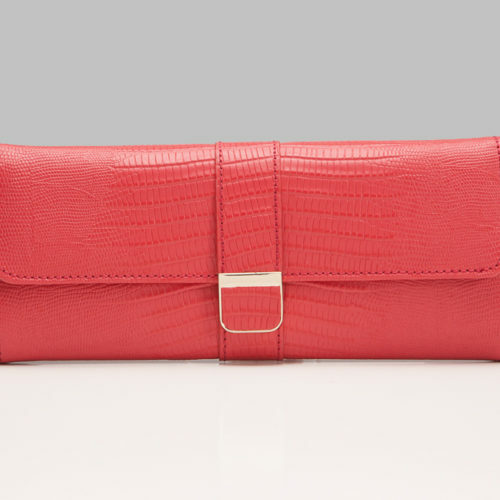 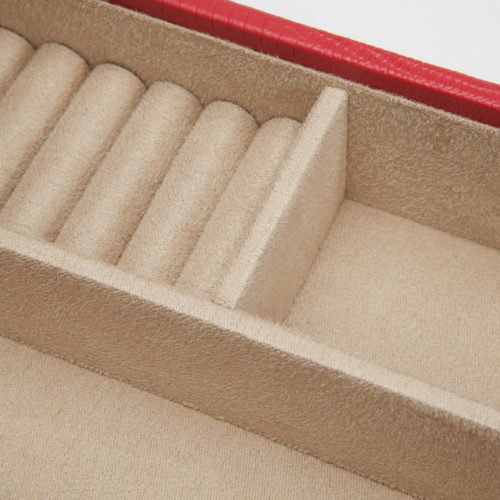 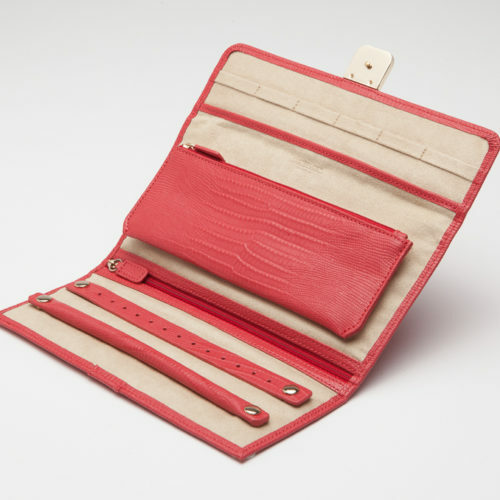 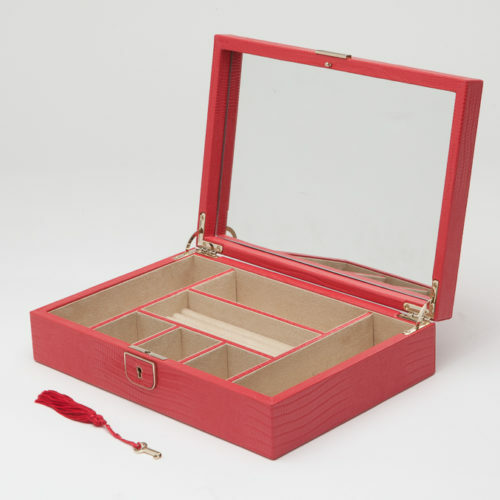 Includes 4 ring rolls, 6 storage compartments, glass mirror, Teju lizard embossed leather in coral, LusterLoc™ anti-tarnish lining and lock & key with gold finish. 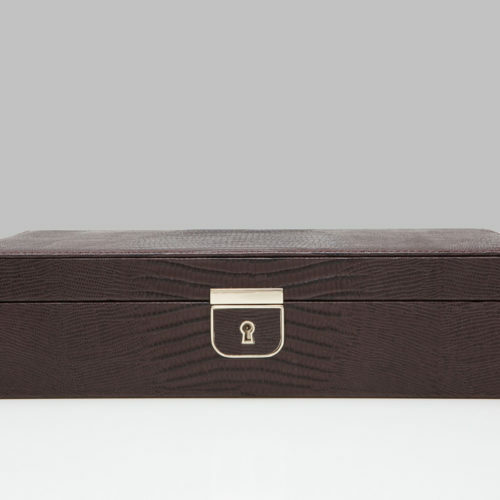 A delicately constructed leather jewellery case, the Palermo collection represents a city synonymous with sophistication. 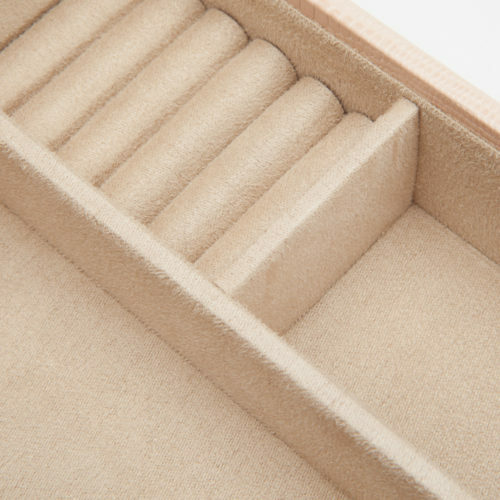 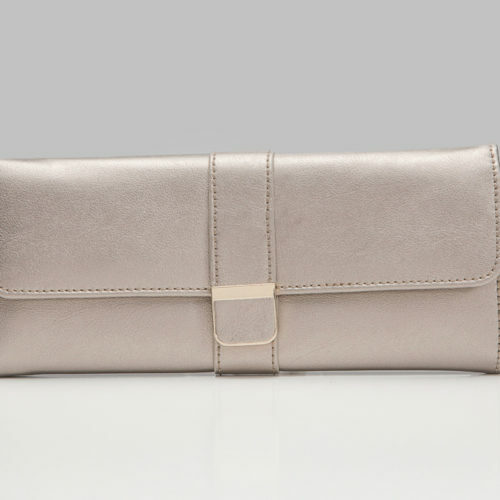 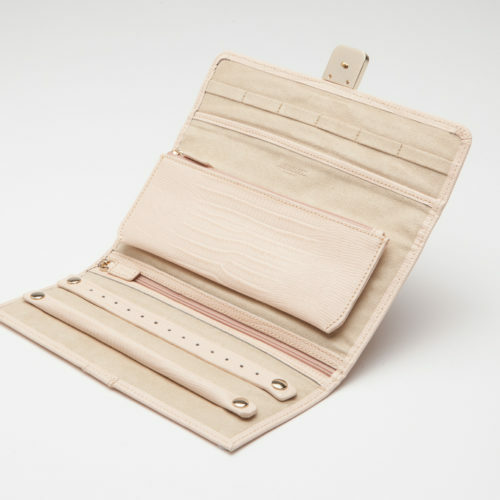 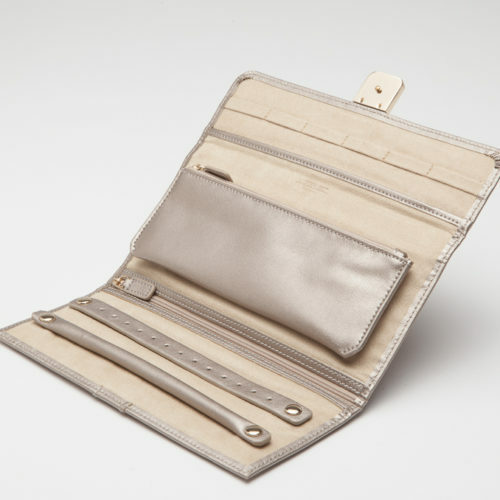 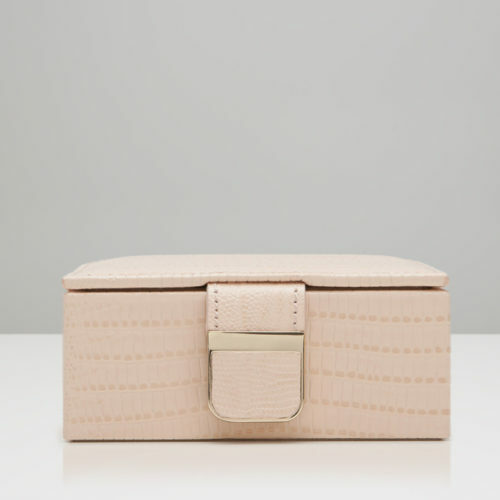 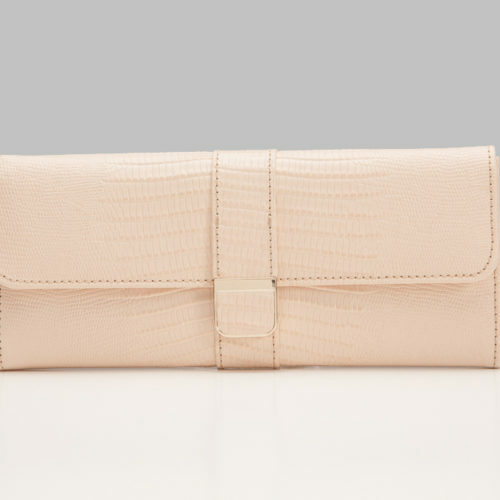 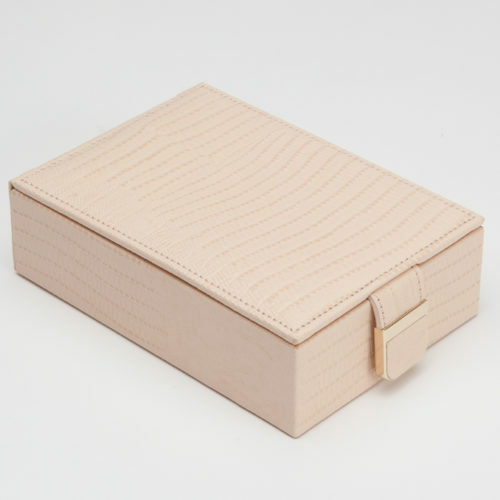 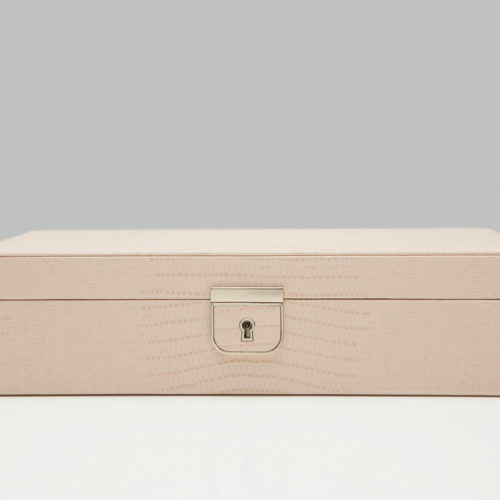 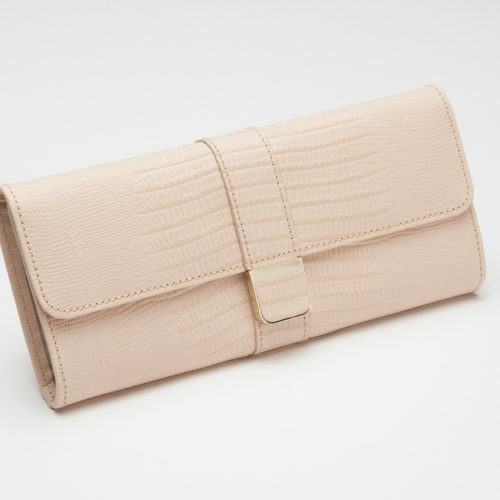 Includes 4 ring rolls, 6 storage compartments, glass mirror, Teju lizard embossed leather in blush, LusterLoc™ anti-tarnish lining and lock & key with gold finish.